Joint dislocation claim: Find out what a dislocation of your joint is; the most commonly dislocated joints in your body; the damage that can be caused to ligaments and bones during dislocation with examples of compensation settlements for different body parts and free specialist solicitor online assistance with your joint dislocation claim. 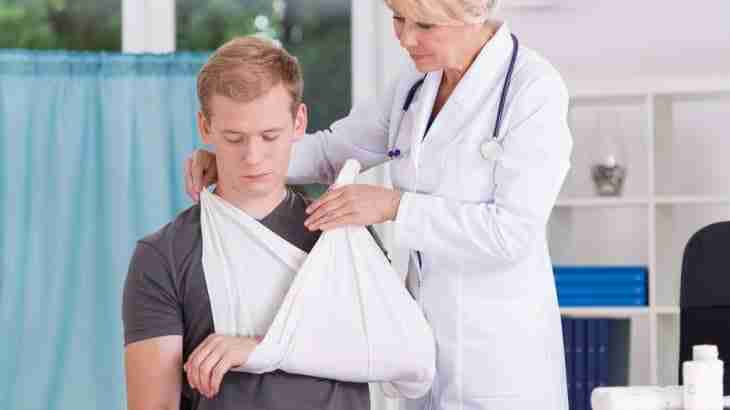 What is a joint dislocation claim? A dislocated joint describes the situation when the bones in your joint become misaligned typically as a result of a trauma to the joint. Medically a full dislocated joint is known as a luxation and a partially dislocated joint is known as a subluxation and will typically involve damage to ligaments surrounding and supporting the joint. If the trauma has been caused by the legal fault of another you are likely to be able to make a joint dislocation claim – which is a claim for the pain and suffering and direct financial loss as result of your dislocation injury. What joints are likely to give rise to a joint dislocation claim? Any joint can dislocated in an impact or trauma (as in a car accident or work injury) – but some of the most common joints include: your shoulder joint (this is the most commonly dislocated joint of all); the elbow joint; ankle joint dislocation, a finger or thumb at the knuckle or base of the finger; the knee joint (especially the patella); your wrist (there are 8 bones in the wrist which can be dislocated); the hip joint (involving the pelvic bones); your toes; the clavicle; the discs of your spine (whether your neck or lower back – this is technically known as a slipped or herniated disc); your neck and lower back; your jaw; an eye dislocation (the lens in your eye can become displaced as a result of an impact to your head); a rib dislocation. Basically where any bones join together there is a risk of dislocation from a large impact or trauma resulting in a joint dislocation claim. 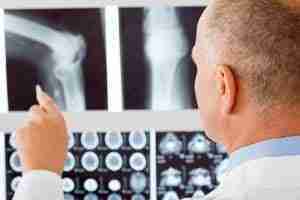 Are joint dislocations and fractures one in the same? “No” – a dislocated joint and a fracture are different types of injuries, but you might suffer both types of injury in the same accident event. Many times – the trauma, which caused your dislocated joint, can also cause a fracture or the dislocating process can be so violent that a fractured bone can result. In addition – muscles, ligaments and blood vessels surrounding the dislocated joint can all be affected and damaged. To establish if you have a dislocated joint an x-ray will be taken at hospital, which would also determine if fractured bones are also present. Click fracture compensation claims to see the article we have written describing what fracture claims are and the compensation payout amounts that you can be awarded. When determining the amount you can claim for dislocations consideration must be given to the part of the body dislocated; whether any fractures have resulted from the dislocation; whether ligament damage has occurred and the risk of future dislocations to the same joint. The shoulder joint is the most commonly dislocated joint and as such I have written an article dedicated to dislocated shoulder settlements – click shoulder dislocation claim to see examples of how much compensation you can claim. If you have suffered injury in a road traffic accident, at work, due a pavement slip or trip, in a shop or as a result of any accident in the UK or overseas and you wish to discuss making a joint dislocation claim then I am happy to speak to you free of charge to assess and value your claim. Click dislocated joint claim to have your claim assessed online or to have a free call back from me in person.